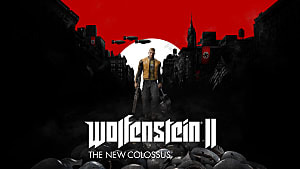 Two years ago, Bethesda brought back the beloved Wolfenstein franchise with Wolfenstein: The New Order. I pre-ordered it the night before it was released because I needed a new game to play and once I started playing it, I fell in love -- it ended up being my game of the year for 2014. 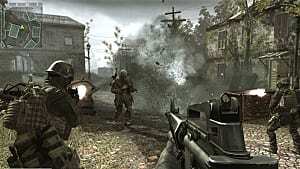 And I wasn't the only one that thought the FPS was successful; it currently has an 82 on Metacritic. Naturally, fans were eager for a sequel. It's taken a little over two years, but that wait for another blast-filled journey into the heart of the Third Reich is almost here. 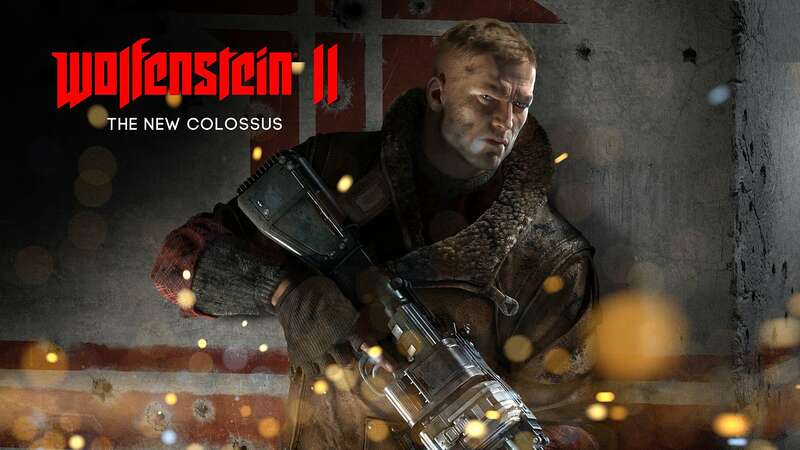 At E3 this year, Bethesda pulled out another surprise by announcing Wolfenstein 2: The New Colossus and setting its release date for October. 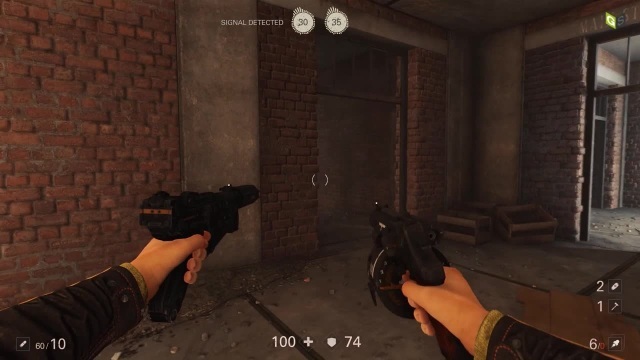 Last week, I was able to get hands-on with the New Orleans level of Wolfenstein 2 (which is a few hours into the game) to see how it plays and how it compares to the first one. The gameplay in The New Colossus is the same style that you've grown to love from entries in the Wolfenstein series: shooting Nazis. 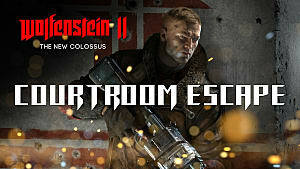 Whether you are a silent killer that likes to dispatch foes from above or the Rambo that loves to shoot Nazi's right in the face, you can do either one in The New Colossus. While the soldiers were easy to take down in my time with the game, the robotic/mech dogs in this level were not so easy. I found it better to use the laser gun, an extra ability that I'll talk more about in a few paragraphs, to be highly effective against the robots and tougher enemies in general. If you think that you'll just be using guns and lasers to take enemies down, you are wrong, my friend. Toward the end of the gameplay video above (which you can also see on GameSkinny's YouTube channel in its full NSFW glory), you will see me ride one of those robotic dogs (which breathes fire) and take out enemies in glorious fashion. 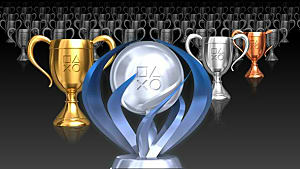 Needless to say -- it was a lot of fun, and the latter added a nice wrinkle to the series' traditional gameplay elements. Something new to Wolfenstein 2 is the presence of extra abilities. These abilities give you an additional edge in the game whether you are killing Nazis or trying to access a hard to reach part of the level. There were three accessible abilities featured in my time with the game. The first ability is Stilts. When you double jump, B.J. gets "taller". 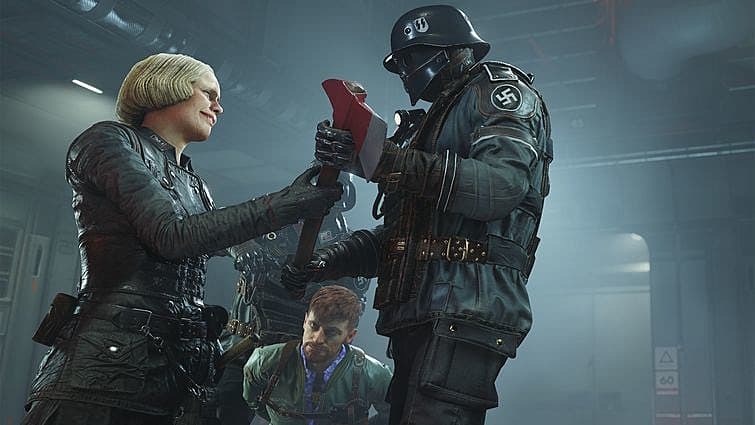 This Wolfenstein 2 ability can help you reach new areas and take enemies down from new angles. While it is nice to get a new perspective, the stilts do slow down your speed so be careful to not corner yourself because you won't be able to escape. The second ability is the Laser Gun I mentioned earlier. This is a gun and it shoots lasers. Pretty simple. You can access it by using your weapon wheel while you're in-game. Use it against the robotic enemies so you can save your gun ammo. The third ability is called Ram Shackles. This allows B.J. to run through not-so-thick walls. When you see a wall that doesn't look too sturdy, don't worry about throwing grenades or shooting at it. Just sprint into the wall and it'll come down. 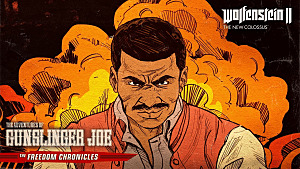 If you loved Wolfenstein: The New Order and want to continue following B.J. 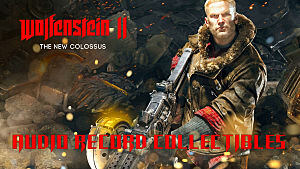 's adventures as he takes on the Third Reich, then you will definitely love The New Colossus. 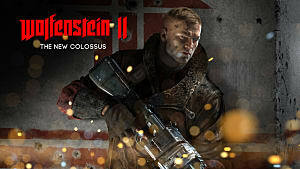 If you haven't played Wolfenstein before but this preview has you interested, you can pick up the combo pack that includes The New Order and the story DLC, The Old Blood on Amazon for $19.99 before picking up the newest entry in the series. 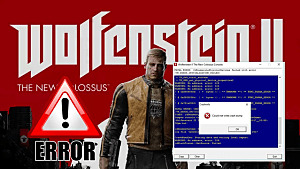 Once you are ready to buy Wolfenstein 2, you have two options. The first is a vanilla version that comes with just the game. The second option is a really cool special edition (what I pre-ordered) that comes with a B.J. 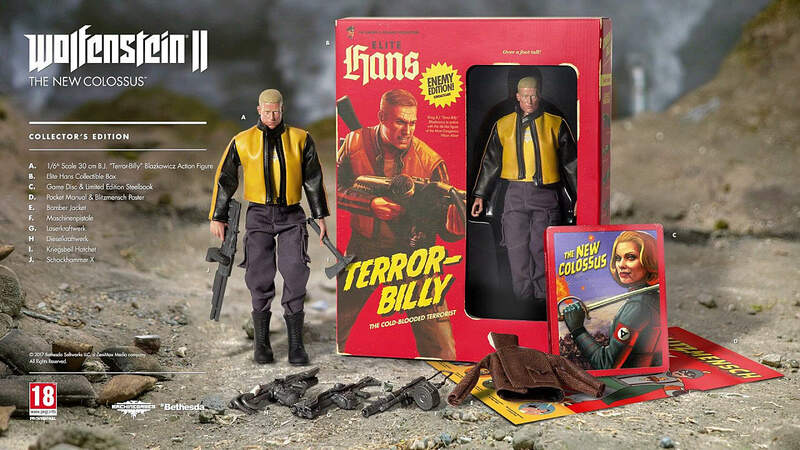 Blazkowicz action figure and a steelbook. Wolfenstein 2: The New Colossus will be available on October 27 for PC, Xbox One, and PlayStation 4. The Nintendo Switch version will be released sometime in 2018.